It’s only been six years or so that I have talked about wanting to garden. When we first moved into our last home in Ohio, with just under an acre of yard space I proclaimed I was gonna get started gardening. Then I woke up to deer sleeping in my backyard and knew it wouldn't be as simple as I thought it might be. And when the baby came and didn’t sleep I was doing good to have groceries in the fridge let alone growing anything edible. When we moved here to the corner cove home (what I call our little corner of the earth), the yard space tempted me again. And I don’t know what has actually held me back but I haven’t felt the full urge to get an outdoor garden going. My wiser self said start small and grow. So I decided to start an indoor herb garden and see how that goes. 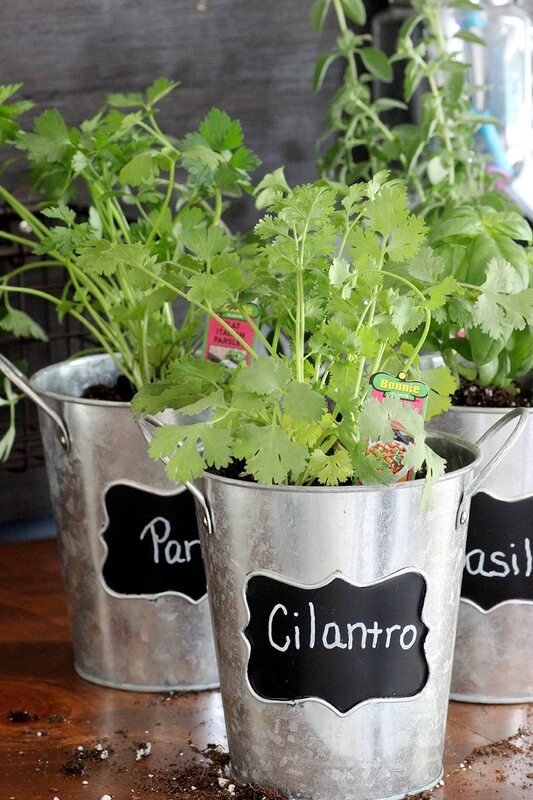 For my garden I started with four herbs I know I’ll use – cilantro (Taco Tuesday), oregano, basil, and parsley. Making it pretty is the easy part I imagine because it’s so darn cute! I mounted some cute little baskets from Amazon on my command center board. 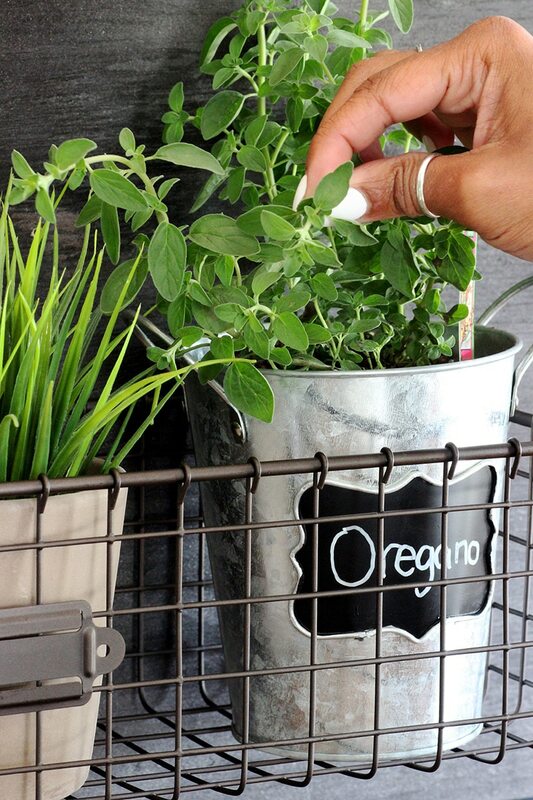 Searched high and low before I landed on the perfect little galvanized buckets with chalkboard labels, and grabbed my herbs and soil from Walmart. I did it all for under fifty bucks! Here are the exact steps I took to make it happen. First, I hung my wall mounted baskets that would hold my herb containers. I have seen several different ways that people have done this. So get creative for your own situation. Me personally, I saw that I had the room on my command center wall board and went with that. 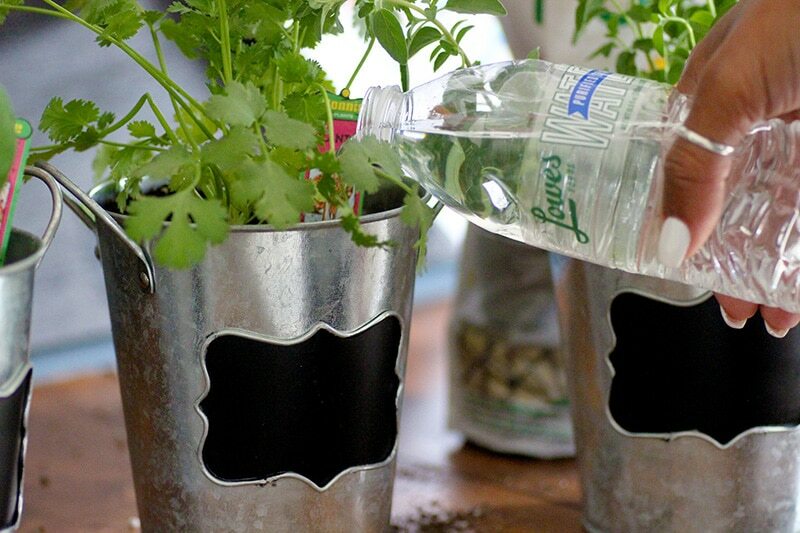 Since they will be indoors and not planted in regular pots, you have to give them a way to drain. So I put rocks down in the bottom of the containers to allow for drainage. I used rocks like these in the bottom of my containers. 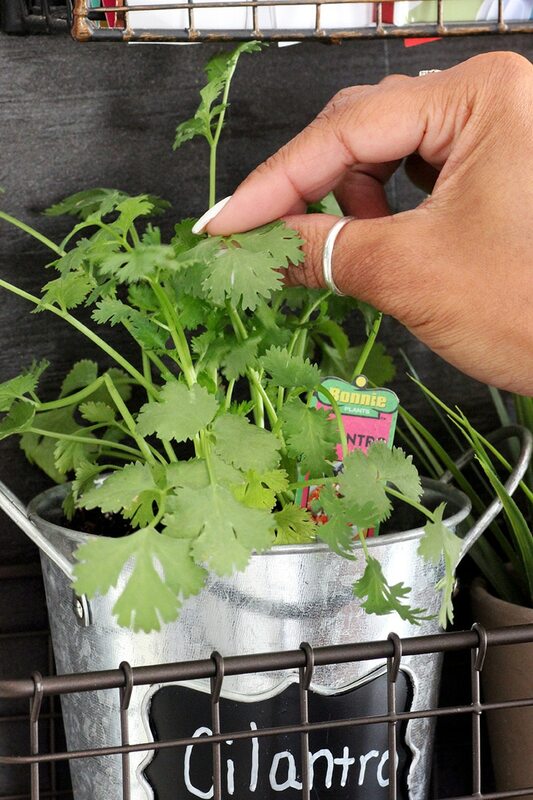 I sat the herb with the soil from its original container in the “pot” and then filled around it with MiracleGro Indoor potting soil. 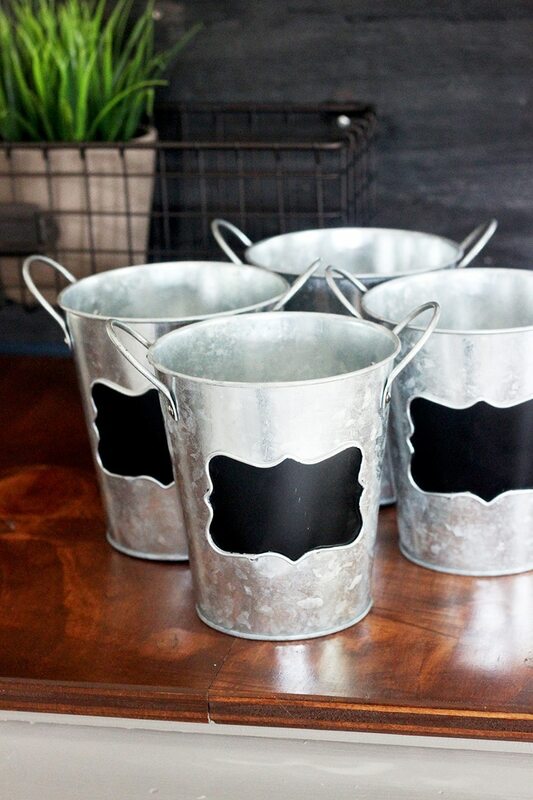 I found these cute little pails at Michael's on sale. I believe they were seasonal, but you can find some that are similar here. 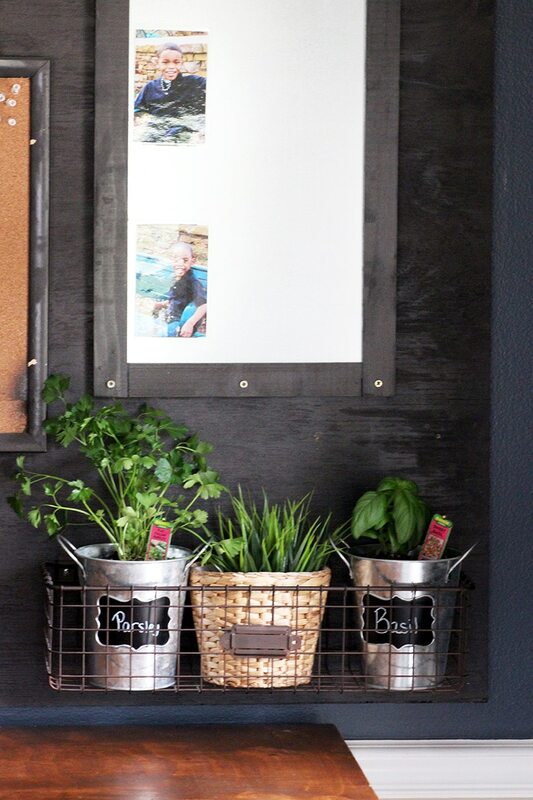 I watered my herbs and place them in the mounted baskets. And voila! 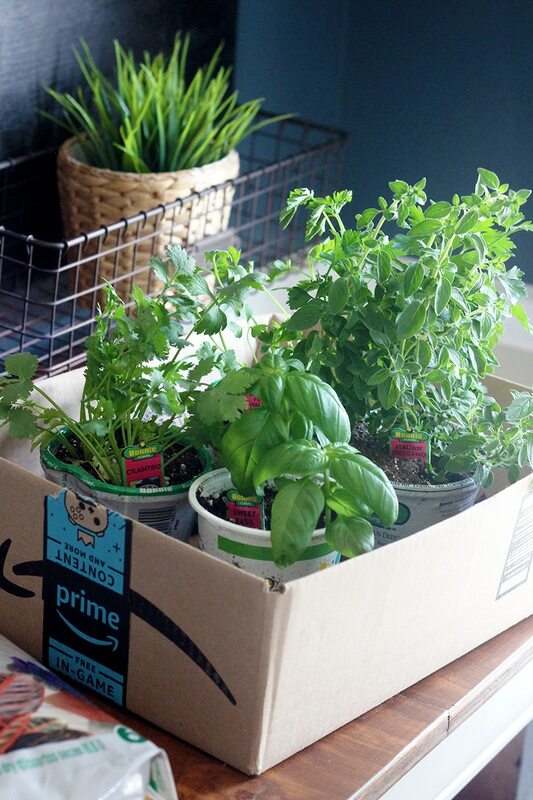 I now have an indoor herb garden. My plan is to rotate them so that they have access to sunlight. And occasionally sitting them outside or on the kitchen window seal in the morning time for direct sunlight access. 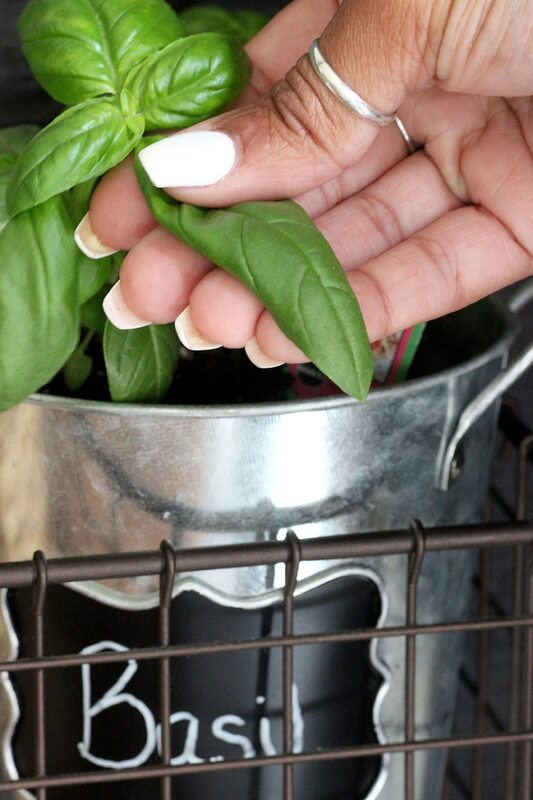 I am excited to see if I have a green thumb and if I can actually grow my own fresh herbs that I can use in my many recipes. Stay tuned and I will update you on the progress. 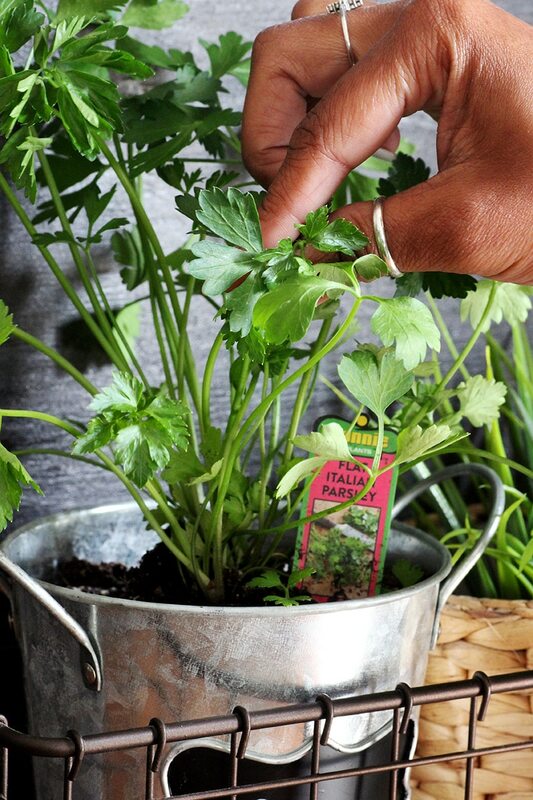 Have you ever considered gardening or growing herbs? Any tips for a newbie like me? Comment below.